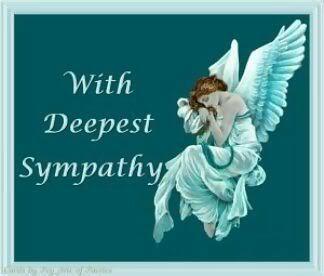 Our deepest concolences to Isobel's family and friends. Our LAS member, Isobel Hazel, passed away on Sunday after a short illness. The funeral is at 2.15, Kingsdown Crematorium on 14th August and after at Blunsdon House Hotel. If any members wishes to go to her funeral, please contact LAS Treasurer, Val Mackenzie, so that she can let Mr. Hazell have the numbers for the hotel. It is with great sadness that I have to report to you the death of a dear friend Ray Mathews. Ray and his wife Jay also meant a great deal to the Society. Not only were they a very popular couple but it was Ray’s professional expertise which brought LAS into the 21st century. He completely revamped our image with a modern logo and housestyle and an impressive website. Although he was a hugely talented artist and musician, which I think was his greatest love, he was a modest and unassuming man greatly liked and respected by us all. Ray was diagnosed with a life-threatening disease about a year ago and although he bravely battled it determinedly carrying on with life in a positive way, with Jay tirelessly researching every avenue of medicine to fight it, he sadly lost the battle at the weekend. He will be much missed and our thoughts go out to his devoted wife and family. Funeral Arrangements: Ray Mathews passed away on Sunday 4th December, after a year of illness with mesothelioma cancer. Details for his 'last bash'. You are welcome to either (or both) the funeral and the evening event. DRESS: 19th Dec. Dark attire for funeral please. Evening - anything goes! Hugs and smiles essential at both. After a short illness, Our ex-Chairman and Hon Member, Mr Ron Needham, passed away in the afternoon of 5th August 2016 at the Cheltenham Hospital. He will be sadly missed. Our deepest sympathies to the Needham family. Funeral details to follow. 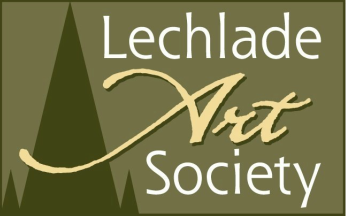 Maureen and Ron moved to Lechlade in 2003 and the art society was one of the first organisations they joined. When Ron took over the role of secretary Maureen became one of those members who supported the association through unstinting “back room” work supporting Ron in his new role. Over the years Maureen attended talks, demonstrations, and of course the Annual Art Exhibition. She and Ron also kept the Society’s archives and helped organise the flag for the annual flag festival. As Ron’s health started to fail Maureen continued to support him and the society and it was largely through her that the society has regular representation on the Memorial Hall steering committee. Maureen will be missed by the large number of LAS members who will remember her for her cheerful support and loyalty. Her funeral will be on Tuesday 8 March at 12 mid-day in St Lawrence Church, Lechlade. Along with many others in our community, we are very sad to lose a dear friend, a kind and generous man who had given Lechlade Art Society’s Thursday Morning Painting Group a home during the summer months for many years. Bob loved having people around him and the LAS members were always received with a warm welcome. He had been a great supporter of Lechlade Art Society, not only allowing us to hang paintings for sale in the bar of The Trout, but also supporting our Summer Exhibition and even, on one occasion, allowing some of us to have an exhibition of paintings for sale in their Creel Bar. Bob will be greatly missed in the community at large: he hosted and encouraged so many groups, but most of all he will be missed by his loving family. Lechlade Art Society and our painting group will endeavour to support Penny, her sister Lizzie and her loyal staff at The Trout and we look forward to continuing our association in the years ahead. Our deepest sympathies to his wife Penny, his family Jackie, Zac, Christine, John and all his grandchildren – Shauna, Jay, Sam, Max and Mia. Joan Liller ﻿﻿of Lechlade, aged about 90 years, was one of the founder member of LAS in1986. She was also the President of LAS. Sadly. Joan passed away in the morning of 1st June 2015, in the Elizabeth Finn Home. She was well respected and loved by all. She will be missed. Gerard Campbell passed away 3.30pm on Saturday, 23rd May 2015. He will be sadly missed LAS especially the Thursday Painting Group. He was a very good artist, an inspiration and friend to all of us. He was supported in the last weeks of his life, at his home in Lechlade, by his two sons, his daughter and grandchildren and also by his partner Pam. He had gone on Friday morning to the Elizabeth Finn Home to give respite to his carers over the bank holiday weekend. It was a great shock to everyone that he died so soon. A short service will be held on Tuesday, 9 June at 12 noon in St Lawrence Church, Lechlade, followed immediately by another at Swindon Crematoriam. No flowers, but donations to Prostate Cancer Research, to be handed to the funeral directors on the day. The family are inviting people to come back to Gerard's house, Maple House, Lechlade Market Place, for refreshments and reminiscences afterwards. LAS members and friends, if you wish to attend this final gathering (wake) please contact Sue Moir (Thursday Painting Group Organiser) ousal@waitrose.com who will gather numbers for catering. We will miss you Gerard! Thank you for your years of support and friendship. John passed away on Saturday, 22nd November 2014. He leaves a lovely wife, Barbara. He will be remembered for his kindness, loving nature, generosity and true friendship to many. He was an exemplary friend, a real gentleman and a stalwart member of LAS who was always willing to help and inspire. He will be remembered by many for the support he gave us over the years, both practical and moral. He was a dedicated and committed member of LAS. Despite his illnes he would always help with the LAS annual exhibition, among other things. He will be greatly missed by Members of LAS. There will be a private cremation, family only, followed by a memorial service at the St Lawrence Church, on Monday 15th December at 2 pm. Our Friend and a LAS Member, Jack Yockney, passed away on the 3rd June. He will be remembered for his kindness, his loving nature, his generosity and true friendship to many of us. He was an exemplary friend, a real gentleman and a stalwart member of LAS who was always willing to help and inspire when his health allowed. He was a wonderful man and a talented artist. He will be greatly missed by Members of LAS particularly by the Thursday Painting Group. "Jack doing what he loved best" - photo - courtesy of Christine Kelly.